It’s been a while since I posted one of my Sunday sermons here. Below is what I preached this morning, the Second Sunday of Advent, on 2 Corinthians 4:1-6. This photo taken at 4:14 p.m.
Until recently I’d forgotten that the sun could even set before 5:00. Last night the sunset was at 4:08 p.m. 4:08! My six-year-old asked me this week if it was true that there were only four hours of daylight each day in December. Not quite, but it feels like it. These short, dark, cold days seem to linger on. We await a later sunset, the buds of spring, and warmer days. What are we to do with all of this in-between time? That’s the question of Advent. Christ has broken into our world, but so much remains untransformed by his power. We are waiting. We are hoping. We are longing for Jesus to come again and make everything right. I get up in the morning, and I make myself a bowl of instant oatmeal, and then I don’t do anything for an hour… which makes me wonder why I need the instant oatmeal… I could get the regular oatmeal and feel productive! Advent calls for our patience in dark days where God’s kingdom (still) isn’t here. It doesn’t come in an instant. And the light shines right into our inmost beings. The [same] God who said, “Let light shine out of darkness,” has shone in our hearts to give the light of the knowledge of the glory of God in the face of Jesus Christ. There’s the miracle of God’s love… the all-powerful creator of the universe who could bring light from darkness, has sent his light right into our hearts, so that we could know Jesus. The one who created worlds could be bothered to shine light into my dark heart, and yours. God even delights in shining light into our hearts. The light shines in the darkness, and that includes the darkness of our inner world. I think Paul has something in common with us. None of us wants to just talk in platitudes or generalities. The light shines in our hearts, yes, so now we want to know: what exactly is the light doing in us? 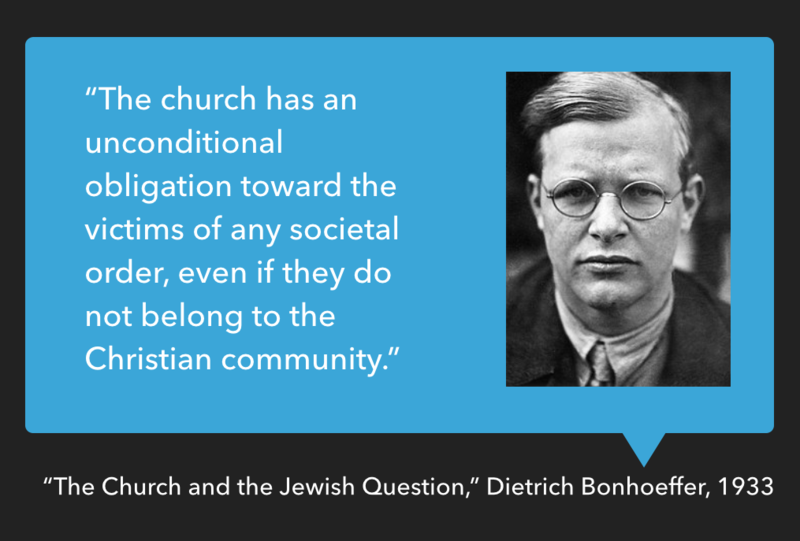 What does the light-of-Christ-in-our-hearts do? Paul suggests a few things. As it shines in your heart, here is what the light does. First, he says, the light illuminates what is hidden. That’s because Paul and his fellow believers have the light of Christ in their hearts. That light has illuminated what is hidden—shameful things. It’s a line you’ll hear in the baptismal liturgy: “I renounce them.” The light illuminates my hidden, shameful things, shows me what and where they are… and I renounce them. I’ve always been glad no technology exists to Google our brains. Think about what that would be like. All our memories, experiences, hopes, wayward desires, and hurts. Your search for envious thoughts toward others returned 13,849 results. Thank God we can’t Google our brains. But in a sense, that’s what the light of Jesus does. As the Psalmist David put it, “Search me, O God, and know my heart; test me and know my thoughts. See if there is any wicked way in me, and lead me in the way everlasting. The light of Christ in us illuminates what is hidden. Second, Paul says the light of Jesus is a floodlight on lies. The light of Christ shows lies for what they are. The light shines on lies in the darkness. It points at them and calls them what they are. Where the light of Christ shines, there can be no lies. This is great for habit development. But good habits aside, here is the light of Christ, practicing the same method of Pointing-and-Calling in us! That’s what the light of Jesus does! The light of Christ illuminates what is hidden, even shameful things. And it’s a floodlight that shows lies for what they are. The light of Jesus points-and-calls in our hearts. We refuse to wear masks and play games. We don’t maneuver and manipulate behind the scenes. And we don’t twist God’s Word to suit ourselves. Rather, we keep everything we do and say out in the open, the whole truth on display, so that those who want to can see and judge for themselves in the presence of God. Paul also says more generally: the light of Jesus guides our inner life. Are you confused, or torn up inside? The light of Christ can guide you. Are you anxious, scared, uncertain of what the coming days and weeks will hold? The light of Christ doesn’t make all your problems go away, but it will illuminate your inner thought life, as you try to make sense of it all. Things become more visible, clearer by the light God gives us. The light of Jesus guides our inner life. This is more than just your run-of-the-mill illumination. Verse 4 says it’s the light of the gospel of the glory of Christ. Verse 6 says the light God shines in our hearts is the light of the knowledge of his glory. Paul is not talking about “the light within” or whatever light or goodness or hope you can generate yourself. There may be a place for that, but it will only take you so far. This isn’t just any light. It’s Jesus light. Even when I turn on the light. We need more than ourselves to turn on the light. We’re prone to error, prone to despair, prone to exhaustion if we try to face and fight the darkness all on our own. Thank God, we don’t have to. For light to truly shine in our hearts and illuminate our paths, it needs to come from an external, inexhaustible source. To that let’s add: we ourselves never shine enough light to dispel the darkness. Paul and company knew deep in their bones that the mercy and love of God were essential to their doing ministry. And that’s how the light works—it’s received, it’s given, just like grace. It’s not all up to you to do the shining. You know that your light alone, will burn out. Maybe it already has. The wick will run out. And you’re not just contending with yourself here: Satan will try to keep you from living in the light. But as Paul says, “the god of this world” may try to keep people from “seeing the light of the gospel,” but he can’t actually touch the light itself. The so-called god of this world can’t stop or prevent or even reduce the shining of the light of Jesus. Jesus’s light is eternal… limitless; it forever burns bright. And that light is yours. It’s ours. So with the beleaguered apostle Paul, “we do not lose heart.” We wait in hope; we wait in power. We have the light of Christ already in part, and lean forward, eagerly awaiting the day when we’ll have Christ’s light in full. God has shined the light of Christ in us. NOTHING can darken the light of Christ. May God shine that light, brighter and stronger and warmer, in our hearts this Advent season. 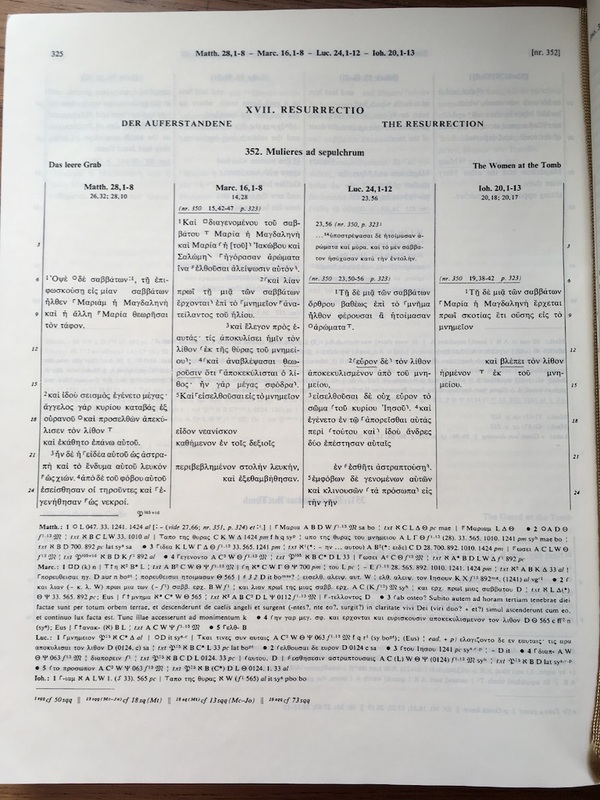 Easter is near, the time of year where—if I haven’t already reached for it recently—I pull out my favorite Gospels resource: Synopsis of the Four Gospels. I love the color. The binding is secure. The size is beautifully large but not overwhelmingly so. My copy, though I got it used some years ago, even smells good. It might be the aroma of the Holy Spirit. 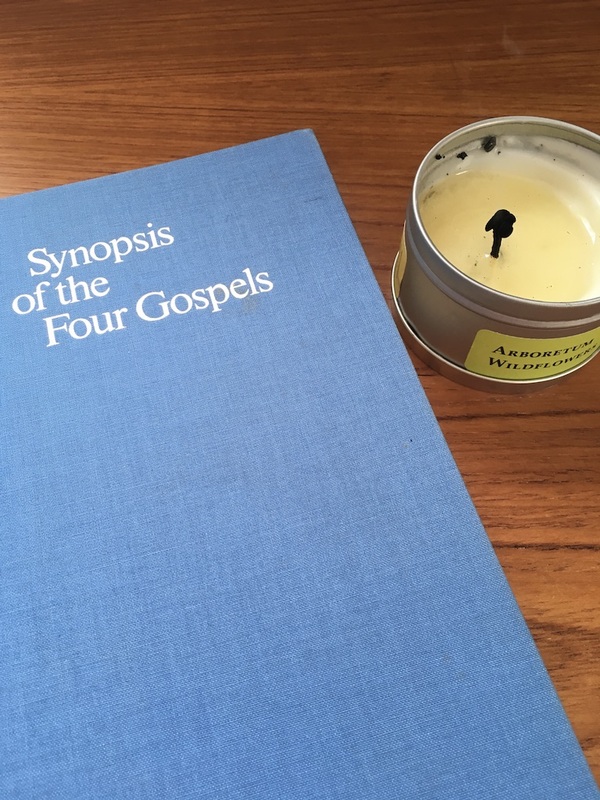 For those seemingly rare but delightful stories, parables, or teachings that all four Gospels treat, the Synopsis is a great way to see everything lined up together. 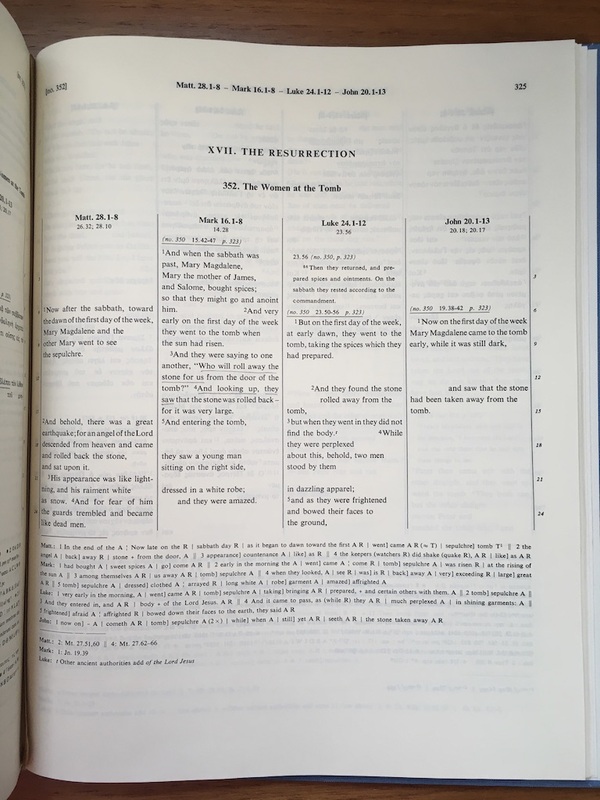 Each year I choose whichever Easter account is the Gospel lectionary for the day, but I always look at all the Gospels side by side before preaching about the story of the resurrection. And if you really want to get into this text, check out this review—more of an homage, rightly—at the Bible Design Blog.